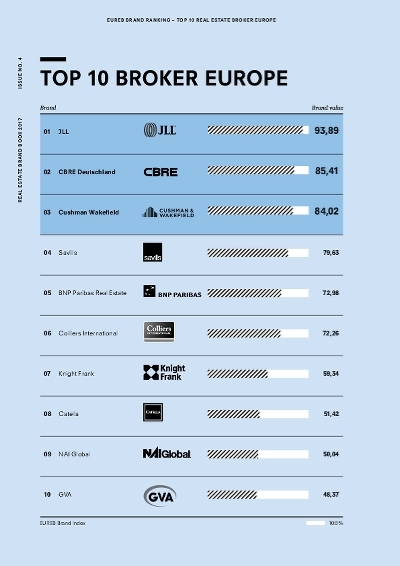 The EUREB Brand Value study surveys the top 10 corporate brands in the field of Real Estate Brokers in Europe. EUREB is delivering the basic information for the assessment of the TOP 10 real estate brokers in Europe. The survey was about 48,000 real estate professionals in 47 European markets.